Can’t decide what to wear to your 25th anniversary vow renewal ceremony? You’re hardly alone. Many struggle with what to wear to such special occasions! Yet fear not, there’s plenty of excellent advice floating around the internet concerning your silver anniversary. Review a few ideas to get started, and remember to have fun! Where you’re having your vow renewal plays a huge role in the dress code. For example, if you’re celebrating your 25th anniversary with a church ceremony, a formal dress is best. If you’re saying “I do” again on a beach or other festive outdoor venue, it’s possible to get away with a sundress or something similar. Should the dress you select end up being more casual than you would like, a bolero jacket or other cover-up is ideal. Is a white cocktail dress a good idea for a vow renewal? Absolutely! Designers frequently create white cocktail dresses for rehearsal dinners and bridal showers, but that doesn’t mean you can’t rock one at your vow renewal. This is especially true if having the ceremony in a reception hall or like venue. 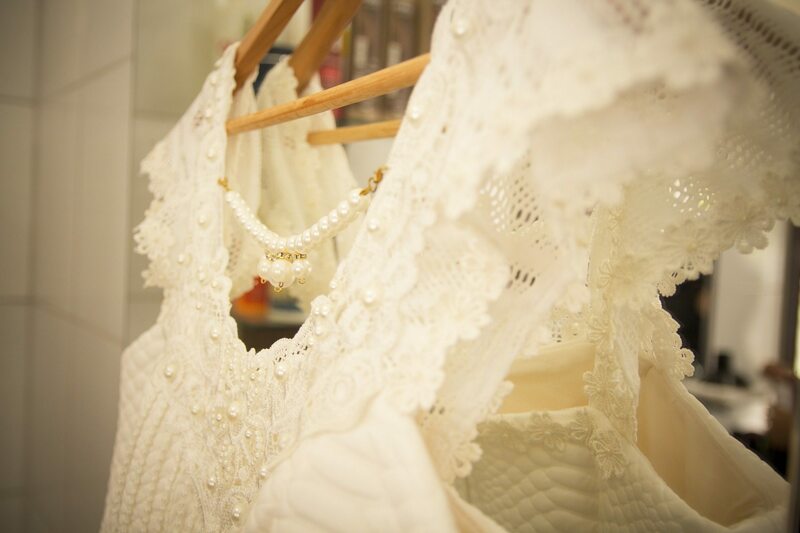 Little white dresses are stunning and allow you to feel like a beautiful bride once again. Perhaps you want to eschew vow renewal traditions completely and go for something fun and casual. A pantsuit is an option depending on the time of year, as is a skirt with a lovely blouse. If doing the beach renewal thing, a white or off-white bathing suit with an eye-catching sarong is more than enough. Whatever else, do what feels comfortable. It’s your vow renewal just like it was your wedding, so ensure it reflects your taste and standards. Don’t let anyone tell you otherwise! Have fun and feel great knowing you’re celebrating 25 years of wedded bliss.